How to Make a Tension Rod. 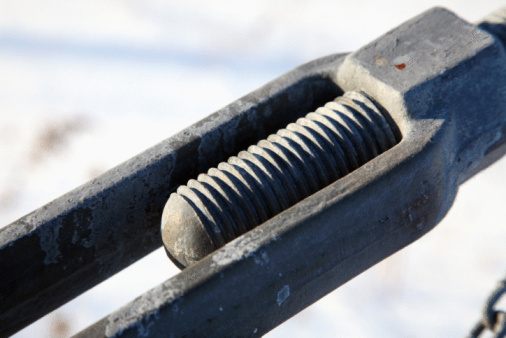 A tension rod is the perfect drapery rod, if you don't like to deal with brackets, screws and exact measurements. They're used to hang drapery curtains, shower curtains and anything else that needs a quick hanging rod installation. You may need to make your own tension rod to fit a specific area in your home or to match a particular décor. Examine the window frame, door arch or area where you want to have a tension rod. Take into consideration the purpose for hanging the tension rod, maybe for sheer draperies inside the window behind more formal draperies. Measure the area width from side to side where the tension rod is to go. Purchase the metal shafts or metal tubing for your rods. They need to be very close in diameter, but one of the metal shafts needs to be able to slip snuggly inside the other. The length of the metal shafts depends on the width of the area for the tension rod. If your window frame is 36 inches wide, then each metal shaft needs to be anywhere from 20 inches to 30 inches wide. Buy a spring from a hardware store that's coiled tightly and fits tightly inside the slightly larger of the two metal shafts. This needs to be a strong spring as a great deal of pressure will be put on it to provide the tension to hang the rod. Find two rubber or plastic caps that will fit on each end of the rods. A rubber cap is a slightly better choice than the plastic as it spreads just enough into the wall crevices for a better hold. Assemble your tension rod by placing the rubber or plastic caps on one end of each of the metal shafts. Slip the spring down into the larger of the two metal shafts. Insert the other metal shaft into the open end of the larger shaft against the spring. Hold the tension rod in your hand at the intersection of the two shafts. Put one end of the tension rod about 1 inch back from where you want it to end up. Push or pull up the other end of the rod as you work it into place. The closer the two ends get to the correct spot, the tighter the tension in the rod will be. Hang your draperies, curtains or tie decorative scarves over the tension rod, and you're all done.